Dear Friends. 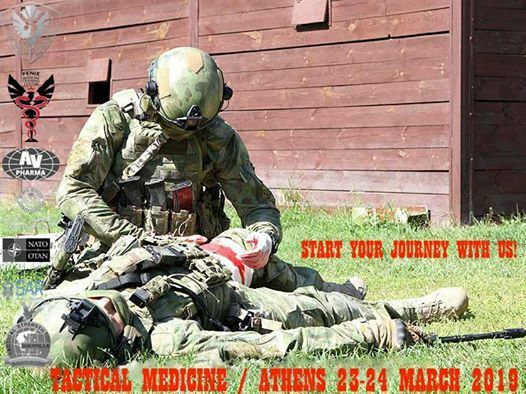 Our Company proudly announces that we shall organize a TACTICAL MEDICINE course in our top level facilities in Athens,on 23-24 March .Our experienced training directors and certified professors,have prepared training sections especially for police/army forces as well as bodyguards and security operators(land and maritime). 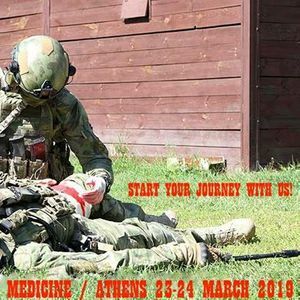 Study of the theory, step-by-step and complex development of practical skills, assistance to victims in wounds, tactical protocols, as well as for victims of criminal incidents and acquisition of a field medicine chest. Η εταιρεία θα διεξάγει στην Αθήνα, το διάστημα 23-24 Μαρτίου 2019, εκπαίδευση TACTICAL MEDICINE. ΔΑΚΗΣ "Ένα μουσικό ταξίδι στον κόσμο"